Done. May write up some background for Walter in the near future. 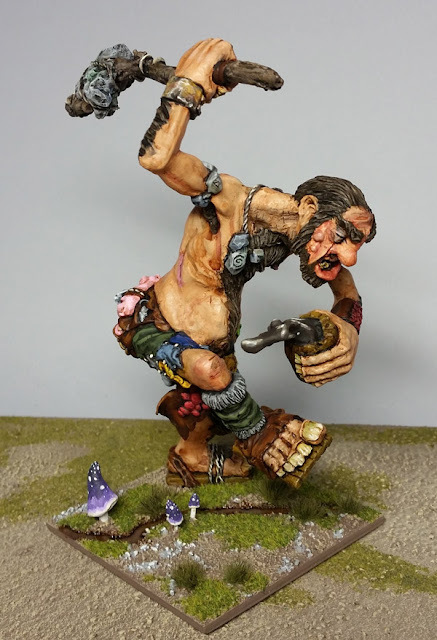 It seems like I say this about half the giants I own, but this is one of my favorite models. He IS fantastic, excellent job! 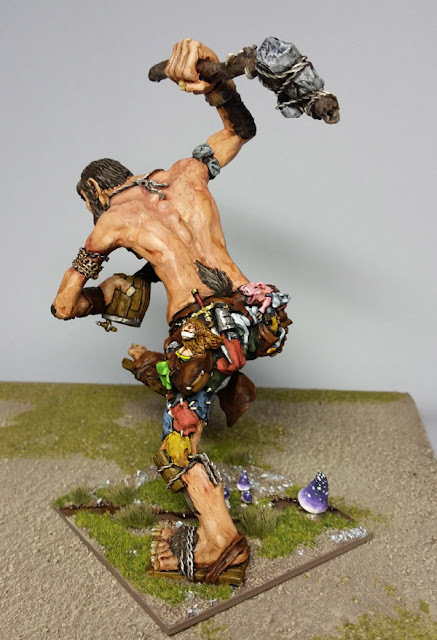 The model and pose is the essence of "Warhammer Giant", shame GW didn't quite match this! Thank you. I think a few of the really old giants had some character and animation, but were limited by the casting of the time. 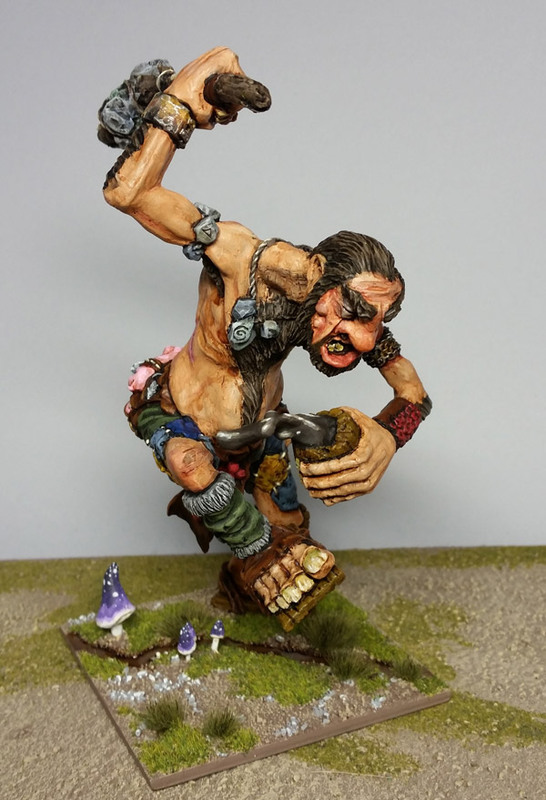 I still like the Albion giants as well. Mind blowing! So much detail on this figure. Truly epic. Even after cleaning & assembling it, I don't think I took it all in until I had to paint all the little details. Fun "little" sculpt! That is really great. 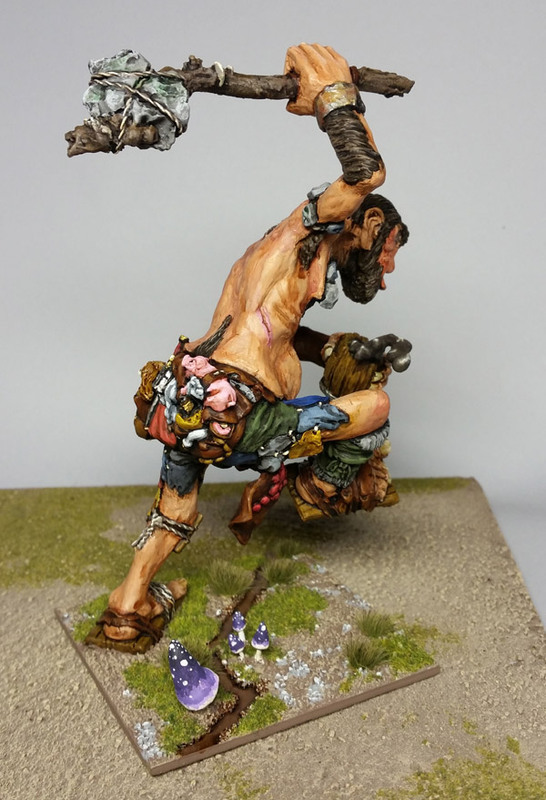 The skin color seems to be perfect for such a large guy,and all the little details came out very well. When you have the chance, could you take another picture of him stomping some regiment? Would love to see it! Haha, I will as soon as I am able. Will be fun to see this guy in games. 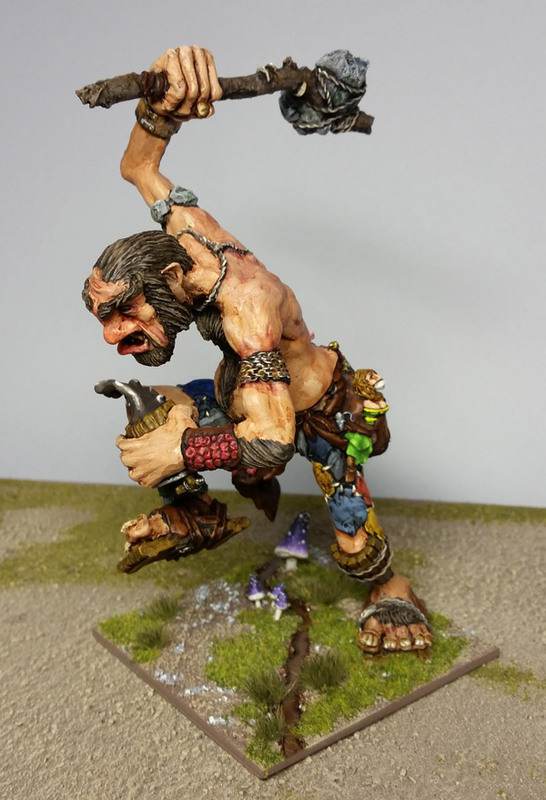 One of the things I'm enjoying about painting these giants (and even trolls I did last month) is that I get to experiment a lot with painting the flesh. They're all different, but and it's enjoyable trying out different colors & and play with a lot of washes & glazes.